1 March 2019 – 31 December 2019. Particular attention will be given to vulnerable asylum-seekers and to those facing particular hardships, such as women, LGBTIQ+ persons, persons with disabilities, etc. The project will run in two phases: (i) the first phase will kick off the service-provision, as explained below, and will run in parallel with an information-gathering exercise by the project team regarding the most relevant and pressing needs felt by newly-arrived asylum-seekers; and (ii) the mapping will provide us with the basis for the information to include in the drafting and publication of 5 Fact Sheets during the secondary phase of the project. The information given during outreach sessions at the open centres will be personal, informal and geared not only towards information-sharing but also confidence-building (e.g. how to overcome fear, how to deal with memory loss, the importance of documentation, the relevance of the Preliminary Questionnaire, the Appeals procedure, subsequent applications, etc). 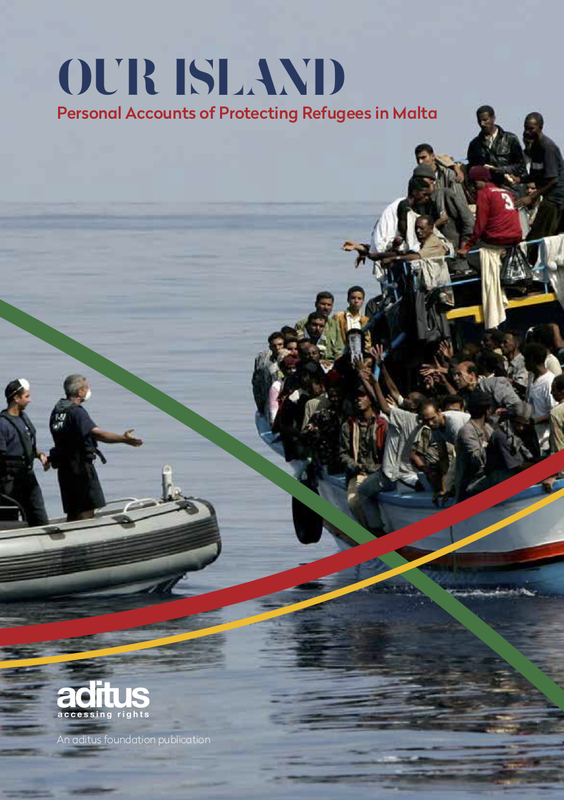 This information will focus on the giving of general information on life in Malta as an asylum-seeker. Currently, there is no entity that provides this information is currently in a coordinated manner. More specifically, the sessions will cover the vast majority of the rights provided for under the recast Reception Conditions Directive, in particular access to employment, access to specialised support, resettlement/ relocation/ residence, access to schooling and healthcare, documentation, institutions and also practical tips. Individualised information will be given during the outreach visits, where this is possible, or the individual will be referred to the aditus foundation offices or external entities. This strand is particularly relevant for vulnerable asylum-seekers or persons who require in-depth support to enable them to fully access the asylum procedure, e.g. LGBTIQ+ applicants, survivors of violence, UAMs, persons with disabilities and the elderly. Information given during individuals sessions mainly consists of targeted guidance for specific issues encountered by asylum-seekers in accessing services or rights whilst living in Malta and, where relevant, referrals to specialised service-providers. the most relevant and pressing issues commonly felt by newly-arrived asylum-seekers. Five fact sheets will drawn up on the basis of the needs identified and will be translated into key languages, such as Arabic, Tigrinya etc. The sheets will help fill the information gap felt by the new arrivals and provide accessible, user-friendly information on key aspects of the life of an asylum-seeker in Malta. The sheets will be made available to all new arrivals, Open Centres, NGOs and other places of contact. Want more information? Contact our project contact point, Carla on carlacamilleri@aditus.org.mt). You can also Subscribe to our News and Updates to be kept updated on this and all other projects and initiatives.